Eleven Sports has unveiled a new feature that will enable subscribers to its streaming platform to share the experience of viewing sport with friends in remote locations. ‘Watch Together’ is a skype-style feature that allows up to five fans to watch a game in a shared online space. It provides the opportunity to see and hear others’ real-time reactions alongside the main action on screen. Global sports provider Eleven describes Watch Together as a “world first”. 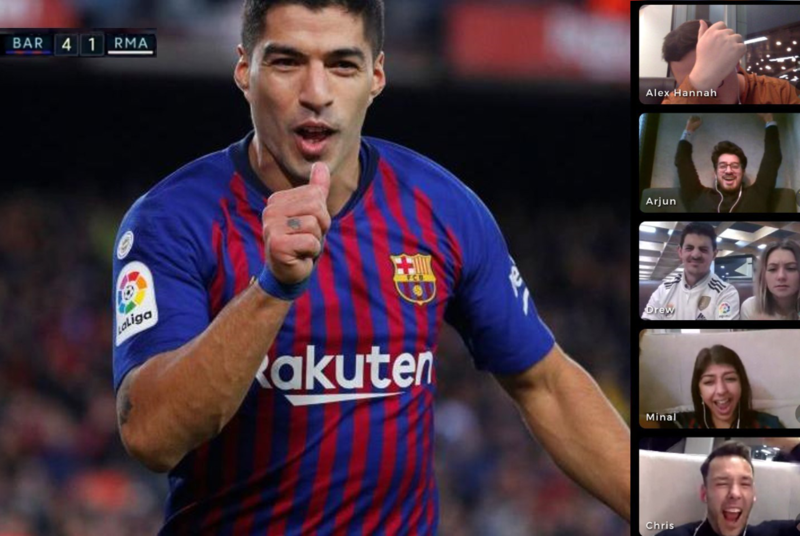 It commissioned tech start-up Reactoo to develop the product as part of efforts to drive engagement and make viewing sport a fun and social environment for fans. The feature will be launched in a trial period over coming weeks across Eleven Sports’ international OTT markets. Subscribers will be invited to create an online ‘room’ and ‘add’ their friends by sharing a link via text, WhatsApp, email or social media. Once inside the virtual space, they will have the ability to watch, listen and chat together while catching the live action, allowing for debate and celebration of key moments in a way that reflects the experience of watching together in a physical space. Tom Middleditch, global head of digital, Eleven Sports explained: “This is an exciting first for Eleven. “Live sport is special because of the raw emotions that are attached to it. Watch Together enables fans to share these emotions and debate every decision, kick, tackle or punch, wherever they are. Watch Together will only be available through Chrome and Firefox internet browsers on PC and laptops for the trial launch, but it will be rolled out across other browsers and devices in the future. The service will be free for subscribers to Eleven Sports in its respective markets.